Update 2/15/19: A federal court ruled in our favor and struck down the citizenship question – but now, the Supreme Court has agreed to hear the Trump administration’s appeal. Help power our fight as we head back to court: Make a public comment against the citizenship question. For the first time in 70 years, the U.S. census will include a question about citizenship, enabling what will essentially be a door-to-door federal inquiry of the citizenship status of every member of every household in the country. Experts agree that the question’s inclusion will dramatically reduce the participation of immigrant communities, stunting their growing political influence and depriving them of economic benefits. It’s a deliberate attempt by President Trump to once again attack immigrants. As mandated by the Constitution, the census must count all people in the U.S. – adults and children, citizens and noncitizens alike. The government uses this information to allocate funding for education, hospitals, transportation, and more – as well as to redraw district maps that determine the power of our vote. Lower response rates will be catastrophic for communities and states with large immigrant populations. As a result of an undercounting of their residents, states may lose seats in Congress and crucial federal funding that is tied to census results. President Trump has made his bias clear, calling immigrants “rapists,” “terrorists,” and people from “shithole countries.” That hateful rhetoric has materialized into anti-immigrant policies like the Muslim ban, the rescission of DACA, and tearing away children from their parents at the border. The citizenship question specifically designed to strike fear in immigrant communities. In fact, Trump decided to add it knowing that speakers of Spanish, Arabic, and Chinese were already expressing unprecedented concern about the census. He did so against the expert advice of the Census Bureau’s professional staff, its scientific advisory committee, and five previous census directors from both Republican and Democratic administrations. And with out-of-control agencies like ICE and Border Patrol terrorizing immigrants throughout the country, it’s not hard to see why they would be afraid. It couldn’t be clearer: The citizenship question violates the Constitution by undermining the purpose of the census and by discriminating against immigrants. There’s still time to stop this, and your voice could make the difference. The Commerce Department is accepting public comments before the census questionnaire is finalized. Make your voice heard: Leave a public comment demanding the 2020 census not include a citizenship question. NOTE: When you submit a public comment, your comment and the information you submit may be visible as part of the public record. I strongly urge the Commerce Department to remove the citizenship question from the 2020 census. The citizenship question will depress participation among vulnerable communities that are already fearful of answering government surveys, according to the Census Bureau’s own research. Not only will it lower participation rates result in the disenfranchisement of immigrant communities, but it will undermine the purpose of the census itself – which, according to the Constitution, is to count each and every person in the United States, citizens and noncitizens alike. The public should not be asked to answer – or pay for – a census that does not meet scientifically sound standards in order to achieve partisan political goals. The addition of the citizenship question is bad for the census, bad for our communities, and bad for this country. The inclusion of a citizenship question in the 2020 Decennial Census form is specifically designed to antagonize and marginalize immigrant communities. 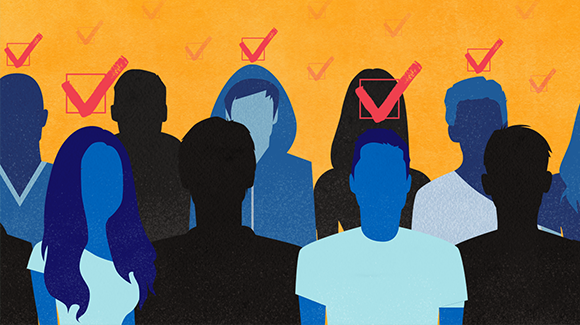 Immigrant participation will decrease dramatically – resulting in less political representation, less access to federal programs, and a severely compromised census that would fail to accomplish its purpose of counting each and every person in the United States.